What's good? 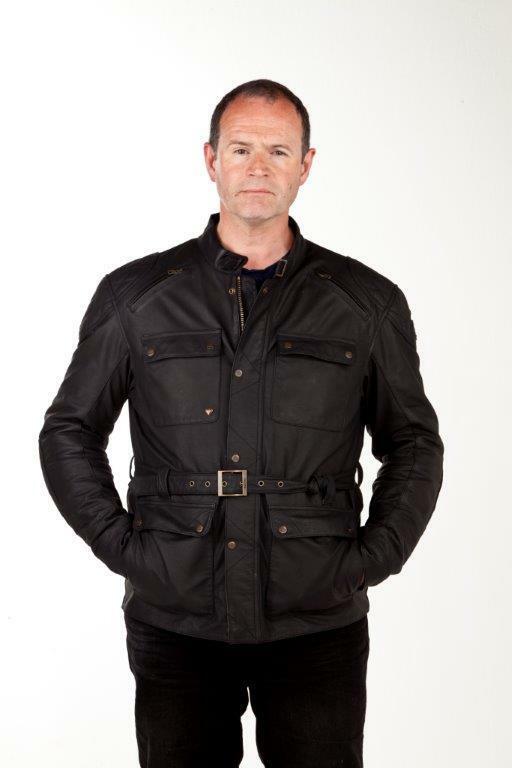 If I knew ‘owt about fashion (which I don’t) I’d say these wax cotton-look, Belstaff/Barbour-style jackets are all the, er, ‘rage’ at the moment, as popular around Tesco as twin-shock trials. Trouble is, many are more show than go, expensive (a pukka leather Belstaff can cost a ridiculous £1200) and few alternative brands will ‘do’. (You couldn’t really have one of these made by Kawasaki, now could you?) Which is one of the reasons I’m impressed by this leather Newchurch. Being ‘Triumph’ it’s the right brand. Its style is classic and yet subtle (such as the discrete ‘Triumph logos on the brass poppers), has neat tailoring (such as the tapered sleeves), lots of quality touches (chunky zip, unobtrusive body armour) and is at once comfy, stylish, showerproof and protective. It’s great value, too. Right here, right now it’s my perfect, day-to-day, on and off bike jacket.